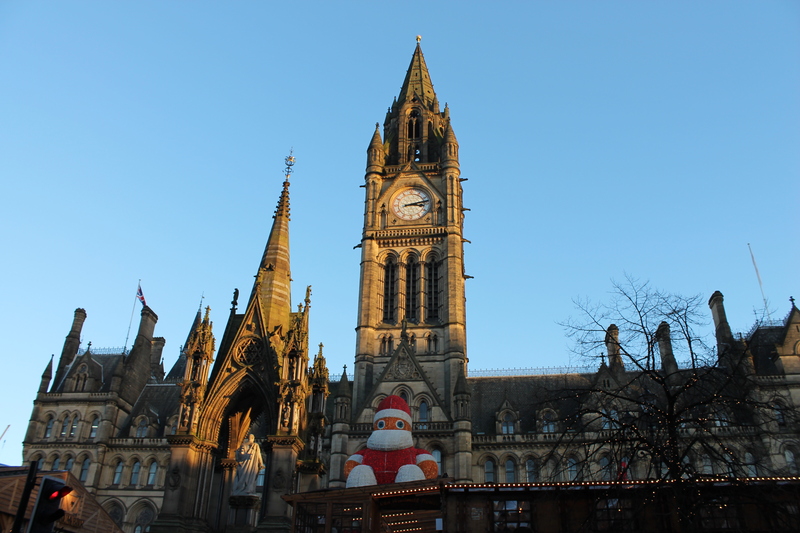 Christmas markets in Manchester, November 2014 – Tasting the World – On the road, with stuffed hand luggage and face. Camera in my hand. 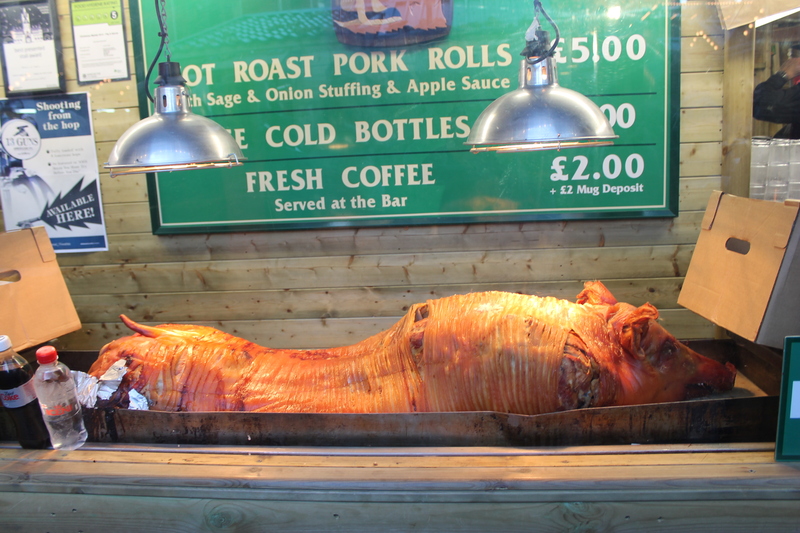 Today we went to Manchester to enjoy its famous Christmas markets. They are very popular and therefore crowded, especially before Christmas, so we decided to go now. In many cities a Christmas market is concentrated on the main square. In Manchester, the markets are spread across 9 streets and squares… but they are connected and you can do a nice “market crawl”. 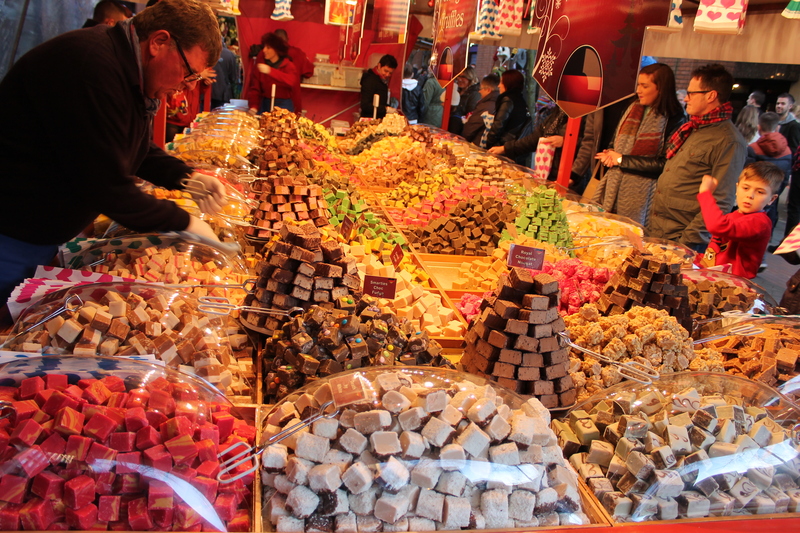 You can find there the usual things you would expect from a Christmas market: lots of decorations, gift ideas and – food. Two streets are dedicated to a specific nation – you can find a German market on St Ann’s Square and a French market on King Street. There are also many individual stalls with products from other countries – we saw an Italian stall with prosciutto, cheese, salami etc., a Spanish restaurant with paella, a French cafe, a Dutch cheese stall, another Italian confectionery stall, many places with German bratwurst and beer, a Portuguese stall with jams and chutneys, a Greek stall, you name it. The majority of restaurants and places to eat or drink in are non-stop full, so you are lucky if you can find some standing place next to a barrel alias a small table. It´s better to give up trying to find a place on the main square and focus on smaller side streets. It´s a great opportunity to buy some special products that are usually not available, so if you have time and you can put up with some crowds, go!